The first two N Developer Previews were alpha releases, so naturally a good number of things didn't work correctly. One of the apps that purposely did not work as intended was Android Pay, which produced a screen saying it was disabled until a future release. As Developer Preview 3 is now officially a beta, the Android team has seemingly seen fit to restore Android Pay to working order. The reason Android Pay now works is because Compatibility Test Suite (CTS) is now approved. This also means other apps that depend on CTS should work too. On Developer Preview 1 and 2, this was not approved, and so Android Pay did not work. One thing to note is the Sony Xperia Z3, which has also N Developer Preview 3, does not have Android Pay support if it's running the 3rd preview. 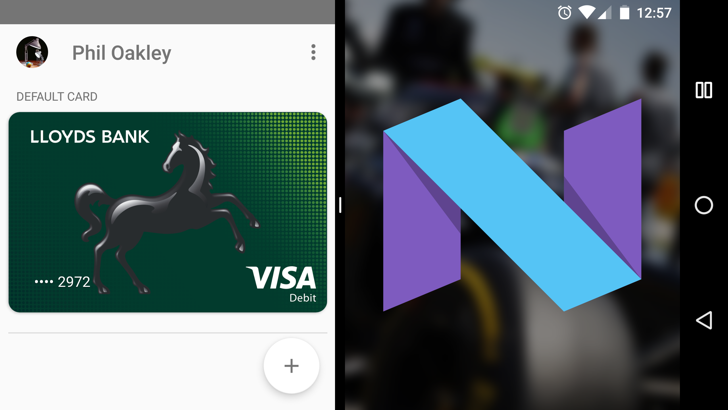 If you're running Developer Preview 3 on a Nexus 6P, Nexus 5X, or Nexus 6, get the Android Pay app from the Play Store. It's also available on APK Mirror if you can't access it due to regional restrictions.